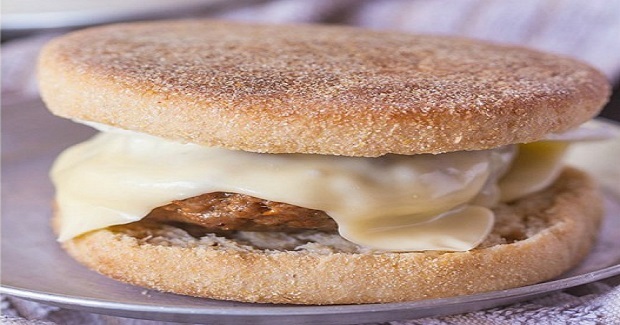 Copycat McDonalds Sausage McMuffins Recipe - Gutom Na! Posted on Thursday, June 16th, 2016 at 5:14 pm. In a large mixing bowl, combine the ground beef and spices and mix very well. Form six balls and press into a patty shape on a plate and set aside. Coat a large frying pan with cooking spray/oil on low heat. Once hot, add the patties and cover immediately. After 2-3 minutes, flip, cover and cook for a further 2-3 minutes. Remove from heat and place cover completely in aluminium foil to ‘rest’. Spray a microwave safe cereal bowl with oil/cooking spray and crack an egg in it and cook in the microwave for 1-1.5 minutes until cooked. Assemble muffins by adding sausage patty, sliced cheese and top with the egg. Eat immediately or assemble, allow to cool completely, wrap in baking paper and refrigerate/freeze.